EDITOR’S NOTE: Long time, no see. (The last e-News came out November 18.) This February issue features a number of important items: a neighborhood meeting to deal with crime issues on MONDAY, Feb. 9, crime and safety reports, the ongoing free mosaic mural workshops that are funded by the Verona Road Project, gardening events, the upcoming primary election on Feb. 17, income tax information, and more. We urge you to follow us on Facebook where you will be able to keep up to breaking events on a more timely basis. Postings happen every week, often every day. The e-News usually comes out just once a month. AD: Got a Hankering For Fresh Organic Food? Join a CSA Farm. 29 - Good Winter Read (It won’t cost you a nickel). Got a Hankering For Fresh Organic Food? 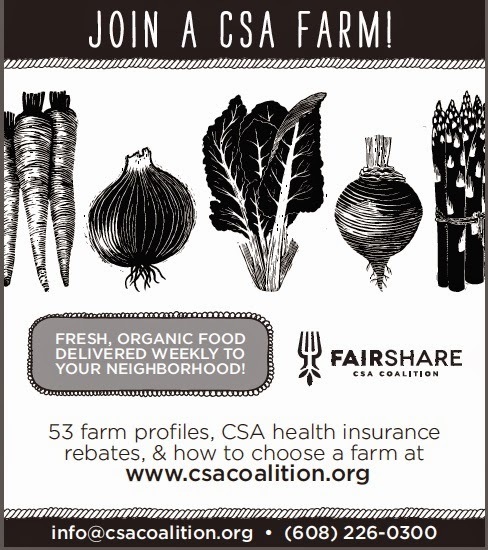 Join a CSA Farm. On Wednesday about 4:00 pm, neighbor James Luscher was hit by a van while crossing Midvale Boulevard with the light in his favor. His dog Teddy, a cute little 'Westie', whose leash had been tied to his James’s coat, escaped. James spent the rest of the day in the emergency room getting X-rays. Fortunately he had no broken bones. But the dog could not be found. Unlike the last lost dog story, this one has a happy ending, Here it is in James’s words. Besides being "chipped" Teddy wears a yellow plastic tag with his number and the phone # for the Home Again (chip) company, which Dorn called. I had contacted the Wisconsin Westie Rescue Organization who had let Home Again know he was missing, and who called them back and then WWR called me when the hardware store staff's call let Home Again know he was found... (whew ! a complex system, but it WORKS !! We're all together again and life is good. How about another animal story to start out? On January 29 when Paula Hague arrived home, her husband Bob reported that she “was a bit hesitant to exit her car.” There standing at the door was a turkey! The DeVolis/Crawford/Milford/Windflower Way turkey is back! For some reason, fall and winter has not prevented break-ins, attempted break-ins, apparent drug-dealing, and occasional reckless, illegal, and dangerous shooting in the neighborhood. Come join us to help keep our community safe. There’s power in numbers, so February 9th, come out. Four eyes are better than 2. Come out and learn what you can do to keep your community safe on the move. Have you been a burglary victim? Are you tired of being afraid? Let us hear your voice and also learn what you can do to stay safe in and outside your home. Just know that you are not alone. If you are incensed enough about these problems to do something, you are invited to attend the organization meeting of the DMNA Safety Committee. It will be held on Monday, February 9, 7 pm, at Prairie UU Society, 2010 Whenona Drive (enter on Crawford). A Madison police officer will attend this meeting and alders and county supervisors have been invited to as well. Madison Alder Maurice Cheeks and Fitchburg Alder Carol Poole have promised to attend and several other officials have tentative plans to come. The mosaic murals that will be placed on two curved walls on the path up to the bike bridge over the Beltline are gradually taking shape. The first one was completed the first week of January. The second is getting closer and closer to completion thanks to the many volunteers who work on them 3 days a week. Workshops are scheduled through February for every Tuesday from 2-5 pm, every Wednesday from 5-8 pm, and Saturdays, February 14, 21, and 28, from 10 am-1 pm. You can drop in any time during those hours at 4269 West Beltline frontage road, at Danbury Street. If 3 parking spots are filled, please park on the street. Volunteers don’t need any experience to participate in making the mosaics. 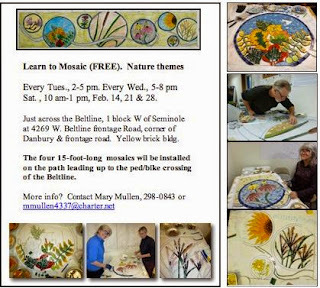 Mosaic artist Marcia Yapp will teach you what to do for free. The Verona Press carried an article about this project in its January 29 issue. It is also attached. As usual, the DMNA Council will meet on the second Thursday of the month. This month the date falls on February 12. The March meeting is also on the 12th in March. Residents are welcome to attend. 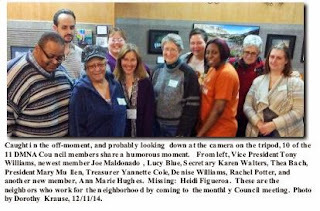 This month we will hear a report about the Crime and Safety meeting that will be held on February 9. We will have at least one visitor to give a presentation. That will be Erika Kluetmeier, Fitchburg Sustainability Specialist. She will be talking to us about we can work together on environmental sustainability. Next month Krystal McCalvy will be making a presentation about the MSCR Fit2Go van. Maybe we will be able to arrange regular visits from the van. The CUB grocery store closed its doors a few years ago, and U-Haul took over its building. The Freshmobile that served the neighborhood for a few hours twice a week didn’t get enough business. Then at the end of December, Walgreen’s pulled up stakes and left an empty building. Our neighborhood is definitely a food desert now. It’s inconvenient for those of us with cars and a real hardship for anyone without one to get to a full-service grocery store. The nearest grocery stores are about 3 miles away. The bus isn’t a good answer if you have several kids and need to bring many bags of groceries back with you. But help is on the way. The City of Madison took some steps during January to try to remedy this situation. Responding to Alder Maurice Cheeks and Mayor Soglin, and of course, supported by organizations and people in our neighborhood, Madison city staff had studied the situation and wrote a report with 3 recommendations. On January 12 the city’s Board of Estimates discussed the report and then voted in favor of the recommendations. On January 20, the Madison City Council voted to follow recommendations to dedicate $300,000 in incentive money to attract a new grocery to replace Walgreen's and $15,000 for emergency transportation funds for bus or cab rides to go shopping. To offer $300,000 in the form of a low interest or forgivable loan to help a full-service grocery store get started to serve the neighborhood. To offer encouragement and financial support of the Allied Cooperative (Allied Community Co-op?) which is working to address food insecurity and is being mentored by the Willy Street Cooperative. To provide short-term and “emergency” funds of up to $15,000 for transportation assistance during the transition period when there is no full-service grocery store in the neighborhood. This initiative has now been funded. But can a grocery store make it here? At the Board of Estimates, Mayor Soglin pointed out that the grocery business has been in flux for 60 years and will probably continue to be, but small grocery stores with local ownership can be successful where large supermarkets like Copps, HyVee, or Woodman’s might not be. He mentioned Capitol Foods which is close to the main library downtown and the Midway Market, an Asian grocery store at West Washington and Park Street. Also attending and speaking in favor of acceptance of the report at the Board of Estimates meeting were DMNA President Mary Mullen and 10th District Alder Maurice Cheeks. The City Council meeting was attended by many more neighborhood residents. Dorothy Krause, alder and county supervisor for the Fitchburg area of our neighborhood, a number of people from the Allied area, and Molly Plunkett, a member of Prairie UU Society (in the neighborhood), were there to speak and support the measure. They waited 3 ½ hours for the issue to come up. Molly reported that she felt it was worth the wait. With the great interest and feedback on the Verona Road (US 18/151) Stage 1 animation video, the Wisconsin Department of Transportation created a narrated animation video for the Stage 2 improvements! 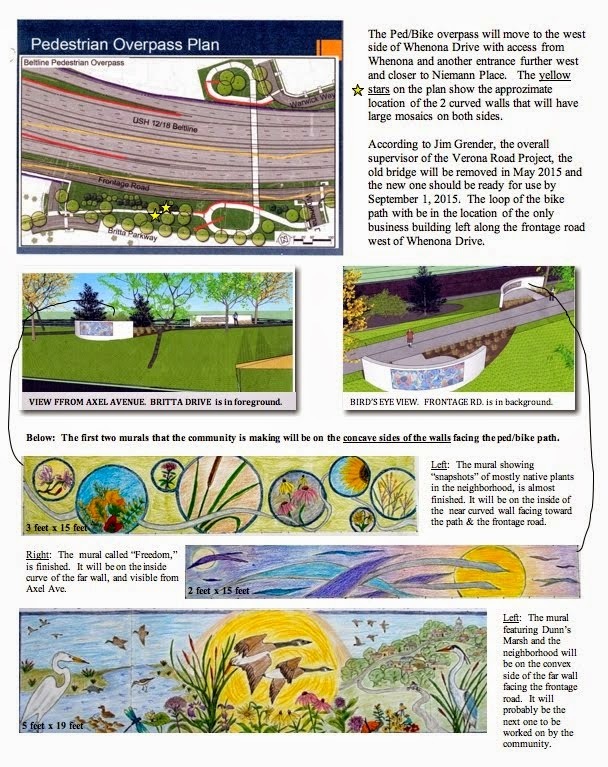 WATCH the Verona Road Project, Stage 2 animation video <http://lists.wi.gov/t/996198/2644525/6007/0/ <http://lists.wi.gov/t/996198/2644525/6007/0/> > . Stage 2 extends along Verona Road from Raymond Road south to County PD (McKee Road). Construction in this area is anticipated to start in fall 2016 and be completed in 2019. 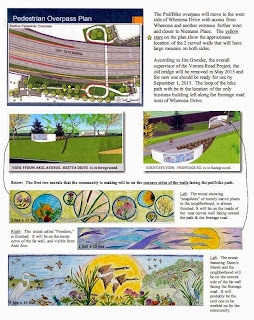 This video is also located on the Verona Road Project website <http://lists.wi.gov/t/996198/2644525/3720/0/ <http://lists.wi.gov/t/996198/2644525/3720/0/> > and project Facebook page <http://lists.wi.gov/t/996198/2644525/3202/0/ <http://lists.wi.gov/t/996198/2644525/3202/0/> > . Be sure to bookmark these two sites to stay informed and involved. Forward this email to family, friends and co-workers who live, work, or travel in the area. 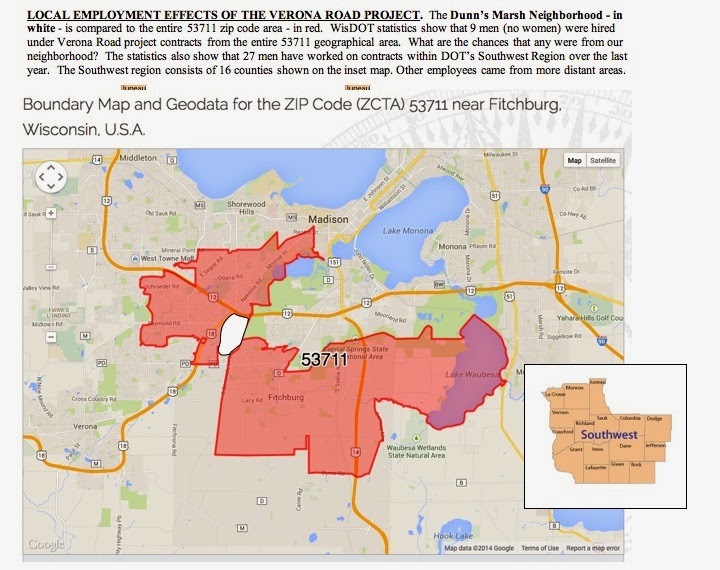 When information meetings and hearings were held about the Verona Road project, people from the Allied Drive area pleaded for jobs. How has that panned out? Short answer: it is hard to tell, but it may be from 0 to 9 men (no women). More likely closer to zero. Recently, I made an inquiry about local employment by this massive project. Unfortunately, the data does not get down to the neighborhood level. I found that data was available only from the 53711 zip code. The short answer to the question about number of workers from the entire 53711 area was “9 men” (no women). Of those 9 men, 4 (44.44%) were minorities: 3 African American man and one Hispanic man. But one must understand that the 53711 zip code is a large geographical area and the Dunn’s Marsh neighborhood is just a miniscule part of it. The attached map shows this visually. To put those 9 people from the 53711 zip into another perspecticve, I asked how many total workers have been employed on the project. The answer to that is 1,198. The 9 people from the 53711 area work out to just ¾ of 1% of the total workers! The statistics are from 1/1/2013 to 11/21/14. So much for the employment benefits to the local area of a large highway project. Michelle Carter, DBE Program Chief in the WisDOT’s Office of Business Opportunity & Equity Compliance also mentioned that if one considers all the WisDOT contracts within the Southwest Region, 26 men and 1 woman were employed from the 53711 zip code during the past year The Southwest Region is shown on the map as well in an inset. It consists of 16 counties. Of these 27 employees, 12 were Caucasian men, 11 were African American men and 1 was an African American woman, and 3 were Hispanic men. 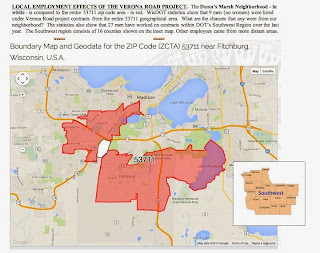 This totals to 15% minorities or 56% of the hires from the 53711 zip code area. But the question still remains: Was anyone at all from the neighborhood hired from the Dunn’s Marsh neighborhood? If anyone knows the answer to that question, please get in touch with the Dunn’s Marsh e-News. We would really like to know if the project has given anyone in the neighborhood a job. In the primary election on Tuesday, February 17, Madison voters will narrow the field of 5 mayoral candidates to 2 candidates. Fitchburg, too, has a contested mayoral election. There voters will have 4 candidates to choose from. The candidates are listed below for each municipality. · Richard V Brown, Sr.
Paul Soglin is the current Mayor. Fitchburg’s current mayor is Shawn Pfaff. Parents, are you looking for a chance to get away on Valentine’s Day with your partner, but need someone to look after the kids? Are you wondering what you will do with you children during the summer? Do you want to discuss parenting challenges with other parents? 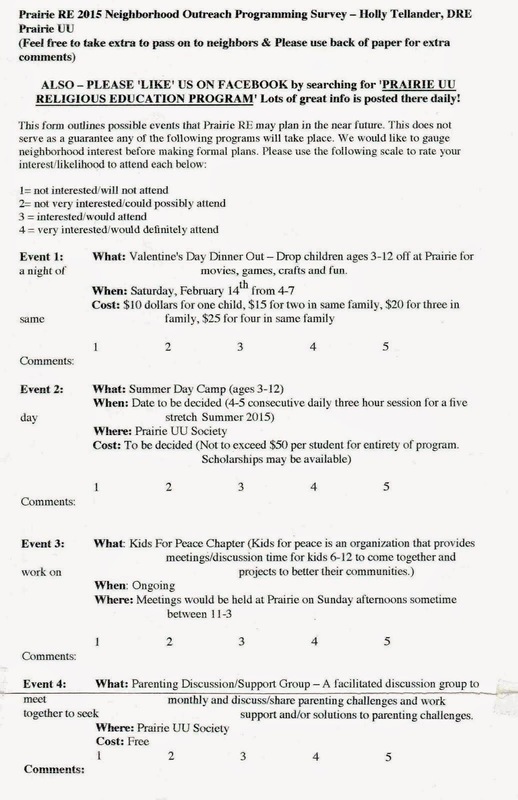 As part of its service to the neighborhood, Prairie UU Society has a survey for you to fill out that asks if you or your kids would want to take advantage of any of these activities right in the neighborhood. 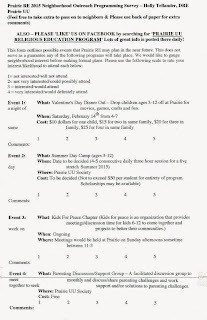 Download the attachment, fill it out, and return it to Prairie UU Society, 2010 Whenona Drive. I wanted to let you know of an attempted break-in at my neighbor’s house. He and his partner live kiddie corner across from me on Danbury. He was sleeping soundly and didn't hear the loud bang. But his neice is staying at their house this week. She awakened himm and as he went to check it out, the person quickly slammed the screen door and ran. The door’s jamb had been broken and he couldn't close the doors due to the damage. He called the police and had his door repaired. This happened in broad daylight at 8:30 Monday morning. His partner had just left for work about a half hour prior to the break-in attempt. Some one must of been watching, thinking everyone was gone. It’s scary to think this is happening during the daytime hours. I gave him the names and contact numbers of the 3 liaisons/Lt. 's that had been sent out a few weeks ago. Neighbors, please note that the DMNA Safety Committee will have its organization meeting on Monday, February 9, 7 pm at Prairie UU Society, 2010 Whenona Drive (at corner of Crawford). If this kind of crime is something you want to help prevent, come to this meeting. · Be vigilant in watching neighbor’s homes and overall activity in the neighborhood. · Contact the Police Department immediately if suspicious persons or vehicles are seen in the neighborhood, regardless of the time of day. Vehicle descriptions and license plates are helpful if they can be obtained safely. · Report any other suspicious circumstances or observations as soon as possible. · Keep garage doors closed and exterior doors and windows locked. · If possible, leave at least some exterior lights on overnight. What should you do if you see something or know something about this? Anyone who observes any suspicious activity in the Fitchburg area of the neighborhood or has any information regarding these burglaries is asked to call the Fitchburg Police Department at 608-270-4300. Anonymous tips can be submitted on the Department’s website here [https://www.citizenobserver.com/cov6/app/webTipForm.html?id=7534] or can be sent via text message to: 847411. Include “Fitchburg” in your text. In the event you are planning to be away from your Fitchburg residence for an extended amount of time the Fitchburg Police Department offers a vacation watch service. The service allows residents to inform the Police Department of travel plans and when time permits officers will check on the residence. In the event anything out of the ordinary is found officers can contact the homeowner or designated neighbor. More information can be found on the Police Department’s homepage at www.fitchburgwi.gov/police [http://www.fitchburgwi.gov/police] or by clicking here [http://wi-fitchburg.civicplus.com/1089/Vacation-Watch] . The police were swarming around the neighborhood like bees with their stingers - long guns - at ready on December 18. 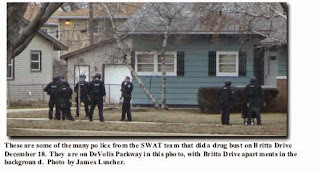 This is old news, for sure, but in case you didn’t see or hear about it, the upshot was that one dog from the household on Britta Drive was shot by the police, and a man was taken in on drug-selling charges. He was indicted in federal court on January 7 for dealing heroin. 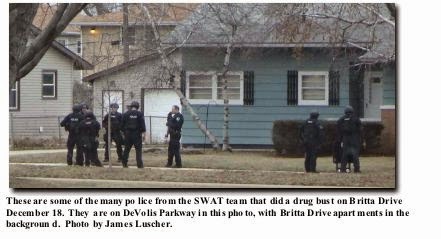 Neighbor James Luscher saw and took photos of some of the action on DeVolis Parkway where police were looking for any household members who might have escaped during the drug bust. The West Police District (WPD) includes our neighborhood. Monthly the WPD puts out a report called the West District Blotter. The February 2 Blotter is devoted to statistics and charts. Here are some facts gleaned from the report. “MPD officers responded to a total of 3,878 incidents in the West District during the month of January. This is an average of 125 incidents per day.” A chart shows that Thursdays and Fridays were the busiest days withan average of 646 and 671 on those days. Looking at the incidents by time of day, the lows are from midnight until 6 am, below 100 per hour. Then they climb fast with about 150 at about 7:30 a.m., about 225 at 11:00 am, and hitting the high of 300 per hour at about 5 pm. A third chart show that WPD “incidents” are about 240 higher this January than in January 2014, 3639 in 2014 and 3878 in 2015. The text notes that one should not necessarily take this rise in “incidents” as a bad sign. This is the full note that explains incidents. It is important to remember what an "incident" is. In most instances an incident is a call for service, where a citizen calls to request an officer for something. This might be a crime, but many times officers respond to things that are not criminal (traffic accidents, civil disputes, parking issues, etc.). Also, many self-initiated activities engaged in by officers result in an MPD incident being created. These include traffic stops and foot patrol. So while incidents can be helpful to measure what MPD is doing, they aren't necessarily a great indicator of public safety or quality of life in our neighborhoods. Mark your calendars…. Madison Police Chief Koval will be offering two opportunities to meet West Police District residents. Monday, February 16 - Good Shepherd Church ,5701 Raymond Road, from 6:00-7:30 pm. Members of the West District command staff will also be present for discussion and to answer questisons. Sometimes it’s a little confusing to know exactly which police officer to contact or number to use when there’s a concern about a crime or ongoing problems that deserve police attention. Of course, for any and all emergencies, including police response, fire, or medical emergencies, do not hesitate to use 9-1-1. · Neighborhood Officers who work full-time in their assigned neighborhoods - the Allied Drive area has two, Officer Manuel (Manny) Gatdula and Officer Brandon Mortenson. · an officer who is part of the Community Policing Team and who is also assigned to a geographic area of the West District and who spends a lot of time on drug and weapons issues. Call: 243-0531. · a Patrol Officer Liaison who works a beat on one of the MPD’s three shifts and is assigned to “stay plugged in to issues in an assigned area,” Officer Stephen Mackesey, SMackesey@cityofmadison.com . Madison residents, here’s a quick summary to put near your phone. When you see crime happening we encourage you to call: a) 911 b) non-emergency # 255-2345, or c) Crime Stoppers 266-6014. To self-report an “incident” such as an annoying phone call, damaged property, forgery, fraud, lost property, stolen bicycle, theft, theft from auto, vandalism/graffiti, or worthless checks, go to https://www.cityofmadison.com/police/selfreport/selfReport.cfm <file://localhost/police/selfreport/selfReport.cfm> If you have insurance coverage, this is the form to use to assist you in filing a clam. To self-report a motor vehicle accident or an accident involving a motor vehicle and a bicycle or pedestrian., go to https://www.cityofmadison.com/police/selfreport/selfReport.cfm <file://localhost/police/selfreport/selfReport.cfm> The completed form can be sent by e-mail to the police department accidents@cityofmadison.com or mailed to Madison Police Records. Get the form and see the address online. 77th District State Representative sends out an electronic newsletter periodically. Her district includes the Madison area of the Dunn’s Marsh neighborhood, but the news she sends out can be useful to the Fitchburg part of our n’hood too. The 3 articles below about income taxes appeared in her January 27 newsletter. You can get this newsletter directly from her. Here’s the introduction to her newsletter plus her contact information if you want to request to be on her mailing list or want to contact her about anything else related to state government. It is an honor and a privilege to serve you and the entire 77th Assembly District. It is very important for me to stay in touch with you on issues that personally affect you, your family, and our community. I welcome your feedback and will continue to work here in the legislature toward our shared goals and values by promoting job growth, strengthening education, and protecting our treasured natural resources. These are all key investments in the future of our community and our state. I've developed this electronic newsletter to provide a simple but direct way to communicate with you about my work as your legislator. I will be sending out updates on a regular basis. To unsubscribe, simply respond to this message with "unsubscribe" in the subject line. As always, please do not hesitate to contact me to share your thoughts or concerns about any issues facing state government. I look forward to hearing from you! Thousands of people fall victim to tax scams every year, collectively losing millions of dollars. Scams involving phone calls from criminals pretending to be IRS agents and people engaging in identity theft to steal tax refunds are among the most common this year. In the phone scam, thieves change the caller ID number to make it appear that the call is coming from the IRS. They make up names and falsify IRS badge numbers. Some even claim to be calling from the IRS Criminal Investigation unit. The thieves will demand money and trick you into giving out your private information. Or they may say you have a refund due and they need your financial information in order to deposit the money in your bank account. Some of the more brazen criminals will even claim the police are on their way to arrest you for unpaid taxes. Call to demand immediate payment or call about taxes owed without first mailing you a bill. Demand that you pay taxes without giving you the opportunity to question or appeal the amount you supposedly owe. Require you to use a specific payment method for your taxes, such as a pre-paid debit card. Use email, text messages, or any social media to discuss your personal tax issue involving bills or refunds. Don't procrastinate. Scammers file their fake returns early so they can claim your refund before you do. If you file your taxes online, make sure your Internet connection is secure. NEVER use a public Wi-Fi network for important financial transactions like banking or filing your taxes. Don't leave your personal financial information or tax return on your computer. Once you've filed your return, move that information to an external storage device, such as a flash drive or CD. If you e-file your taxes and don't receive your refund within a month, contact the IRS. Call the IRS at (800) 829-1040. If you know you don’t owe taxes or have no reason to believe that you do, report the incident to the Treasury Inspector General for Tax Administration at (800) 366-4484 or at www.tigta.gov. Telephone Scam" to the comments of your complaint. If you're used to picking up hard copies of federal tax forms and instructional booklets at your local public library, you might be out of luck this year. Due to IRS budget cuts that Congressional Republicans added to the omnibus budget bill late last year, libraries will get just three IRS forms — the 1040, 1040A, and 1040EZ. Taxpayers will have to obtain supplemental forms, schedules, and instructions on their own. You can download and print the forms from the IRS web site. If you don't have Internet access or a printer, you can call the IRS at (800) 829-3676 to have forms mailed to you. · Printing them from the Department of Revenue web site. · Visiting the DOR office at 2135 Rimrock Road in Madison between 7:45 a.m. and 4:30 p.m.
· Calling DOR at (608) 266-1961. Our state and federal tax laws can be confusing. A number of services are available to save you time and money preparing your tax returns. Many of these services offer free tax preparation, tax deduction, and asset-building strategies, and are available at convenient locations in our community. Most locations also offer free electronic filing, so you can get your refund back in as little as five days. 1. Volunteer Income Tax Assistance Program (VITA) - free federal and state tax filing assistance for low to moderate income people (generally $53,000 and below), the disabled, people with limited English proficiency, and the elderly who cannot prepare their own returns. VITA volunteers can inform taxpayers about special tax credits for which they may qualify such as the Earned Income Tax Credit, the Child Tax Credit, and the Credit for the Elderly or the Disabled. 2. Tax Counseling for the Elderly (TCE) - free federal and state tax filing assistance for elderly, low-income, and disabled people. TCE volunteers specialize in questions about pensions and retirement issues unique to seniors. This program is supported by the American Association of Retired Persons (AARP) Foundation. AARP's Tax-Aide volunteers are trained by the IRS and the state DOR to prepare basic income tax returns at TCE/Tax-Aide sites. Some of these sites offer free IRS electronic filing of tax returns. For information on TCE, call toll-free (800) 829-1040. To locate the nearest AARP Tax-Aide site, call toll-free (888) 227-7669.
for a list of VITA and TCE/AARP tax assistance at Madison libraries and other locations in our community. · Proof of identification – Picture ID. · Social Security Cards for you, your spouse, and dependents or a Social Security Number verification letter issued by the Social Security Administration. · Individual Taxpayer Identification Number (ITIN) assignment letter for you, your spouse, and dependents. · Proof of foreign status, if applying for an ITIN. · Birth dates for you, your spouse, and dependents on the tax return. · Wage and earning statement(s) Form W-2, W-2G, 1099-R, 1099-Misc from all employers. · Interest and dividend statements from banks (Forms 1099). · A copy of last year’s federal and state returns if available. · Proof of bank account routing numbers and account numbers for Direct Deposit, such as a blank check. · Total paid for daycare provider (if applicable) and the daycare provider's tax identifying number (the provider's Social Security Number or the provider's business Employer Identification Number). · Forms 1095-A, B, or C, Affordable Health Care Statements. · To file taxes electronically on a married-filing-joint tax return, both spouses must be present to sign the required forms. This service is also available in Spanish. Madison property owners will soon have the option of paying their taxes over four installments. By offering taxpayers more than the typical two installments, beginning in December, Madison joins most of the larger communities in the state, such as Kenosha, Racine, La Crosse, and most of Milwaukee County’s municipalities. Studies have shown that municipalities that collect property taxes over multiple installments see a significantly lower rate of delinquency than the two installment method. · All payments on current taxes will be made to the City Treasurer; no longer will taxpayers pay the city for one installment and the county for the other. Depending on the specific bill, it is generally not a matter of taking your total taxes and dividing by four. Special charges, credits, and other factors will determine the exact amount of each installment. To help explain all of these variations, the City Treasurer’s website: www.cityofmadison.com/Treasurer has more information for taxpayers to give them a better understanding of how four installments would work for them. Property owners can expect their tax bill the first week of December. Please take a minute to complete the survey found at the link below (available in both English and Spanish). Survey results will be used by the Parks, Recreation & Forestry Department to help update the Urban Forest Strategic Management Plan and develop a cohesive strategy to optimize the benefits that a well-managed urban forest can provide to residents, businesses, and other stakeholders. Hard copies of the survey are also available at City Hall, the Library and the Fitchburg Community Center. The current deadline to complete this survey is Friday, February 6th, 2015. We value your opinion and are excited to hear from you. Thank you in advance for your participation! Please share this information with other residents and encourage them to take the survey as well! Dane County UW Extension will offer a short course for the rural or urban home gardener running from March 3 through April 14 in 2015. The course will consist of seven lectures with topics including soils, composting, plant propagation, tree care, native plants, annual and perennial plants, vegetables, weeds, and wildlife. The short course will be held on Tuesday nights from 6:00-8:30 p.m. at the Dane County UW-Extension office on Madison’s east side, 5201 Fen Oak Drive, Madison, WI 53718. Speakers include UWEX county staff, Master Gardener Volunteers, local experts, and UW specialists. The class fee of $130.00 includes a set of handout materials that accompany the classes. A limited number of scholarships are available for low-income residents or first-time home-buyers. Scholarships are available courtesy of Dane County UW-Extension and the Madison Area Master Gardeners Association in memory of Shelley Ryan, of ‘The Wisconsin Gardener’ WPT TV program. For online registration and information, visit www.dane.uwex.edu/horticulture/gardenbasics/ <http://www.dane.uwex.edu/horticulture/gardenbasics/ <http://www.dane.uwex.edu/horticulture/gardenbasics/> > or call the Dane County UW Extension office at 608-224-3704 to register and 608-224-3709 for course information. Help spread the word with the attached poster. The Marlborough Community Garden registration is scheduled for Saturday March 14 at noon and Tuesday, March 17, at 5:30 pm. If you haven’t gardened here in Marlborough Park before, call now to get on the waiting list and then come to one of the registration days. Gardeners from last year also need to attend registration. Plots are about 20x22 feet. Some will be available in both the tilled and no-till area. Cost for the year ranges from $10 to $65 a plot depending on family income and size of family although there is an on-going protest to this steep sliding fee schedule, and some prefer to pay the average cost per plot if all were flat fee - $16-$20 per plot. Gardeners must also attend 2 workdays during the season. 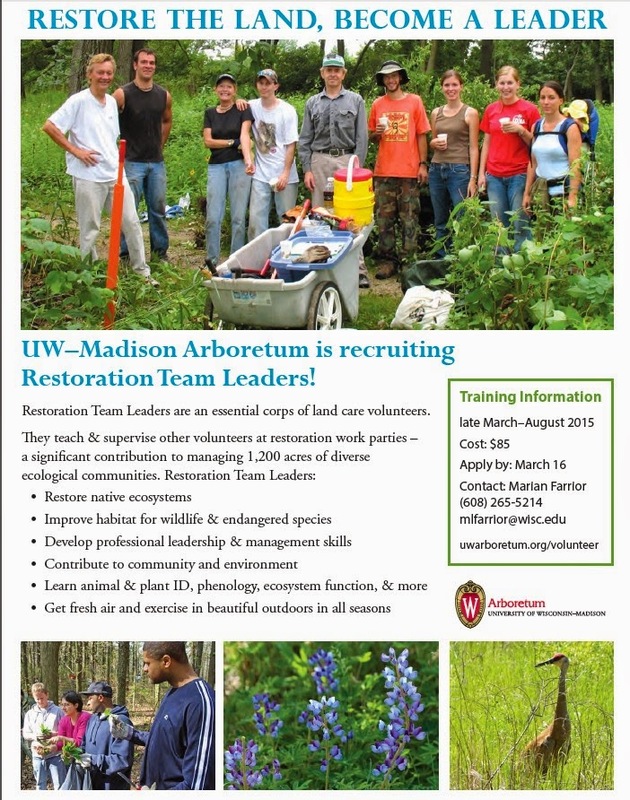 A super way to enjoy the UW Arboretum and become knowledgeable about restoring native ecosystems is to become an Restoration Team Leader at this world class arboretum. Restoration team leaders are an essential corps of land care volunteers at the Arboretum. They teach and supervise other volunteers at weekly Saturday morning restoration work parties. Activities include clearing invasive plants, seeding, and other critical restoration tasks that support the land care staff in managing 1,200 acres of diverse ecological communities. It’s a great opportunity to expand your knowledge of ecology and wildlife, learn valuable leadership skills for any field, and deepen your community ties. 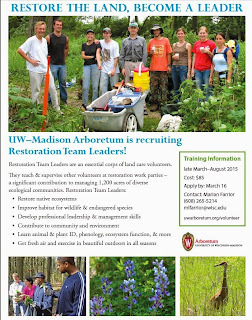 The Arboretum provides an extensive training program for restoration team leaders, taught by staff and other professionals. Team leadership is a significant investment of time and labor, one that is highly rewarding for those who choose the commitment. We expect approximately two years of service – this includes 13 training sessions over 5 months, plus 60 hours as a team leader. The 60 hours is spent co-leading work parties, usually 15 total, one per month. After 60 hours, restoration team leaders will be eligible for professional letters of reference or recommendations from Arboretum staff. Training begins late March through August and the cost is $85; application deadline is March 16, 2015. Please see http://uwarboretum.org/news/singlePost.php?id=669&origin=news <http://uwarboretum.org/news/singlePost.php?id=669&amp;origin=news> <http://uwarboretum.org/news/singlePost.php?id=669&amp;origin=news <http://uwarboretum.org/news/singlePost.php?id=669&amp;origin=news> > . Contact Marian Farrior at mlfarrior@wisc.edu <mailto:mlfarrior@wisc.edu <mailto:mlfarrior@wisc.edu> > or (608) 265-5214 for more information and an application form. Also, check out the attached flyer. This fall the Urban Tree Alliance offered free trees to people living in the Dunn’s Marsh Neighborhood. As a result, 28 trees were added to our neighborhood streets. People on Sentinel Pass asked for and got the most, 8, followed by Cochise, Aztec, and Red Arrow Trail with 3 each. All 4 of those streets are in the Belmar (Fitchburg) part of the neighborhood. Four other streets in Belmar also got trees: Apache Drive, Pawnee Pass, and Thurston Lane. People living on streets in the Marlborough section of the neighborhood got most of the rest. Here’s the count per street. Here’s the count by street (listed alphabetically). The neighborhood area is in parentheses. Patricia Lindquist of the Urban Tree Alliance made a brief presentation to the DMNA Council in December. Trees are still available. If you want one, either visit http://www.urbantreealliance.org/resources/madison-canopy-project/ <http://www.urbantreealliance.org/resources/madison-canopy-project/> or call Patricia at (608) 556-5331. The Alliance will even help you plant the tree. Of course you will have to wait for spring. The Fitchburg Green E-News Blast has several articles on recycling and solid waste collection that pertain to residents of Fitchburg - the middle part of our neighborhood. One of the greatest honors of serving as your County Executive is the work that goes into bringing people together to share ideas and develop solutions to what challenges us as a community. Our lakes are a really big deal. They are so important to our quality of life, attract families - - whether visiting for the weekend or moving here to call our community home - - and are vital to our economy. The critical shared efforts underway to clean them up will take a lot of cooperation, creativity, and collaborative partners to get the job done. Dane County recently pulled together partners like the Sand County Foundation, Clean Lakes Alliance, the University, and Madison Metropolitan Sewerage District to successfully compete for $1.6 million in new federal dollars dedicated to cleaning the lakes we love. Combined with over $10 million slated for lake improvement in this year’s county budget, partners we’ve helped pull together have the resources to build upon the hard work underway. Our goal: keep pollutants like phosphorus off the land and out of the water. Did you know the watershed of the Yahara Chain of Lakes spans more than 200,000 acres? When it rains, water that falls on those lands, winds its way to our lakes. That run-off picks up phosphorus along the way and deposits it in the lakes. How do we stop that cycle? This summer we will install a new system in the Mendota watershed that converts millions of gallons of manure into clean water. Thanks to the work of our partners, we are going farm by farm, field by field with basic solutions, helping farmers lead the fight against phosphorus. We are cleaning our lakes and maintaining one of the most productive dairy industries in the country. Most importantly, we’re doing it with a growing coalition of willing partners. Monona Terrace is excited to introduce Funky Dance Madison <http://mononaterrace.com/community/all-programs/category/concerts_entertainment_events#funky_dance_madison <http://mononaterrace.com/community/all-programs/category/concerts_entertainment_events#funky_dance_madison> > , a new concert series that promotes an eclectic mix of dance music for everyone! Ticket proceeds from the event support the popular summer Dane Dances <http://danedances.org/ <http://danedances.org/> > concert series. The first concert was in January, but another is coming up February 20. On Friday, February 20th The Eddie Butts Band <http://www.eddiebuttsband.com/ <http://www.eddiebuttsband.com/> > , will hit the Funky Dance stage. One of the most popular Dane Dances bands, their mix of jazz, pop and R&B keep the dance floor packed! Tickets are $10 per person here on Eventbrite <https://www.eventbrite.com/e/funky-dance-madison-with-the-eddie-butts-band-tickets-14197608429> . A DJ will warm things up from 7:30 to 8:30pm, followed by a sizzling band set from 8:30-10 pm in the Monona Terrace Exhibition Hall. Tickets can be purchased on Eventbrite.com, $10 in advance and $12 at the door; kids 2-12, $5 in advance and $6 at the door. Parking is available for $5 in the state parking ramp attached to Monona Terrace. 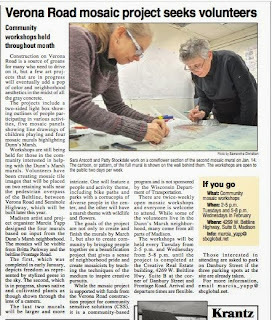 For more information call 608.261.4000 or visit the website <http://mononaterrace.com/community/all-programs <http://mononaterrace.com/community/all-programs> > . Monona Terrace is located at One John Nolen Drive in Madison and is open from 8 a.m. to 5 p.m. For additional information and hours, call (608) 261-4000, TTY (608) 261-4150 or visit mononaterrace.com. The facility hosts approximately 600 events each year resulting in over $52.5 million in annual economic impact for the community. In addition, the center produces and sponsors free or low cost community events that serve over 56,000 people each year. The Frank Lloyd Wright designed facility has a mission to deliver an exceptional and inspirational experience. Are the gray days of winter getting you down? Here’s an excellent way to pass the time and in the process experience farm life in Wisconsin back in the mid-1800s from the point of view of a truly super writer, the naturalist John Muir. If you like animals or plants or stories of settler’s peaceable interactions with Indians, this is the book for you. Here are a couple of ticklers from Chapter III, “Life on a Wisconsin Farm.” The first is about one of the family’s oxen and the second excerpt is about the Indian pony his father bought for the children to ride. We soon learned that each ox and cow and calf had individual character. Old white-faced Buck, one of the second yoke of oxen we owned, was a notably sagacious fellow. He seemed to reason sometimes almost like ourselves. In the fall we fed the cattle lots of pumpkins and had to split them open so that mouthfuls could be readily broken off. But Buck never waited for us to come to his help. The others, when they were hungry and impatient, tried to break through the hard rind with their teeth, but seldom with success if the pumpkin was full grown. Buck never wasted time in this mumbling, slavering way, but crushed them with his head. He went to the pile, picked out a good one, like a boy choosing an orange or apple, rolled it down on to the open ground, deliberately kneeled in front of it, placed his broad, flat brow on top of it, brought his weight hard down and crushed it, then quietly arose and went on with his meal in comfort. Before leaving Scotland, father promised us a pony to ride when we got to America, and we saw to it that this promise was not forgotten. Only a week or two after our arrival in the woods he bought us a little Indian pony for thirteen dollars from a store-keeper in Kingston who had obtained him from a Winnebago or Menominee Indian in trade for goods. He was a stout handsome bay with long black mane and tail, and, though he was only two years old, the Indians had already taught him to carry all sorts of burdens, to stand without being tied, to go anywhere over all sorts of ground fast or slow, and to jump and swim and fear nothing,--a truly wonderful creature, strangely different from shy, skittish, nervous, superstitious civilized beasts. We turned him loose, and, strange to say, he never ran away from us or refused to be caught, but behaved as if he had known Scotch boys all his life probably because we were about as wild as young Indians. 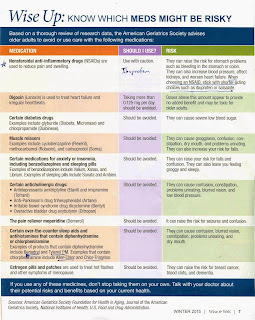 The American Geriatrics Society advises older adults to either avoid or use care with certain medications. 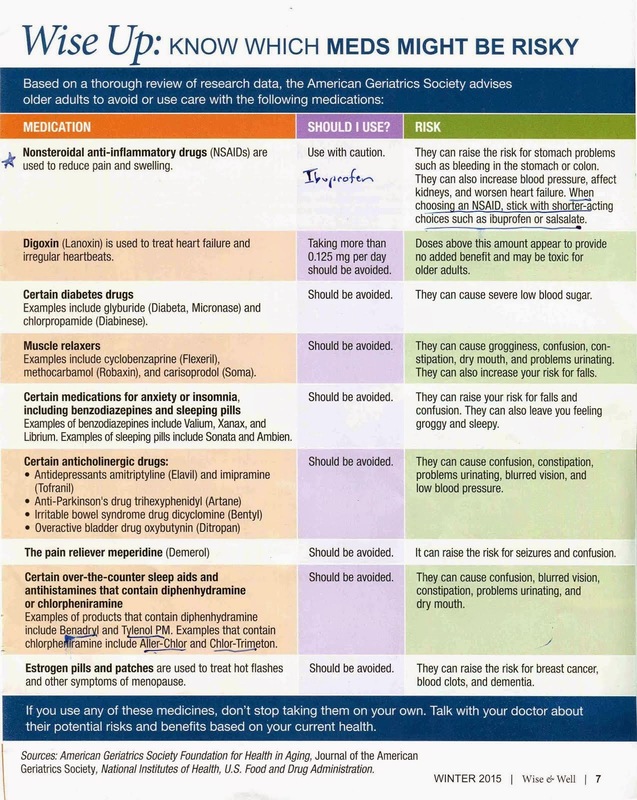 Some are prescribed or available over the counter pain relief, diabetes, insomnia, and other conditions. If you are an older adult or have a parent who falls into that category, you will definitely want to look at the attachment. The reasons for avoiding particular drugs is that they can cause serious side effects: stomach problems, increased blood pressure or low blood pressure, toxicity, extremely low blood sugar, confusion, grogginess, blurred vision, and other dangerous conditions. When crafting Dane County’s 2015 budget in challenging economic times and when facing economic uncertainties, I am pleased that in Dane County we kept costs down for taxpayers through collaboration, while protecting important services, quality of life and our communities’ most vulnerable citizens. Working together with our County Board, excellent staff, service agencies and private partners, we collaborated to protect core services - from public safety to the safety net - and strengthen the quality of life that attracts people and economic development to our county. The budget also builds up Dane County’s rainy day fund (to a projected $20 million), that was in negative numbers after the recession when I took office. This is important because state government is facing a $2 billion-plus deficit, and in the past they have balanced their budget with cuts to local communities and services. · Pilot environmental projects to protect Dane County’s environment, including solar at the medical examiner’s new building and CO2 elimination system at the landfill. Our top goal was to protect the quality of life that our community values and that also keeps our economic development and job creation far outpacing the rest of the state. I am grateful to the many partners who worked with me to meet these goals.